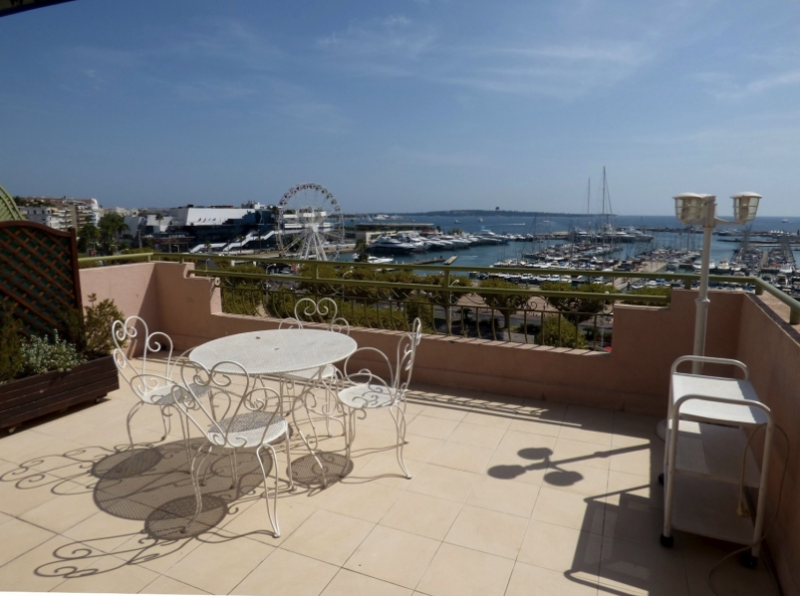 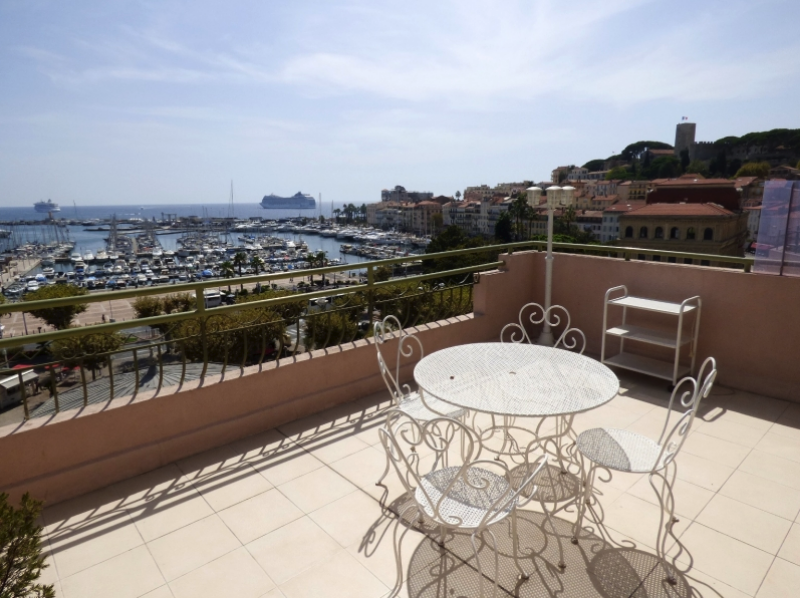 This spacious duplex has an incredible view of the sea and the Palais Old Port. 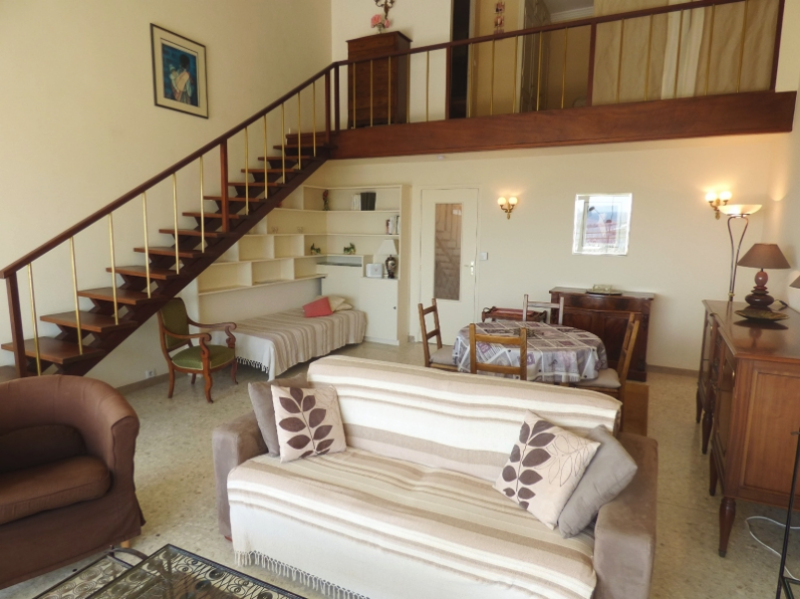 There is space for two, since there is one double bed and a sofa couch. 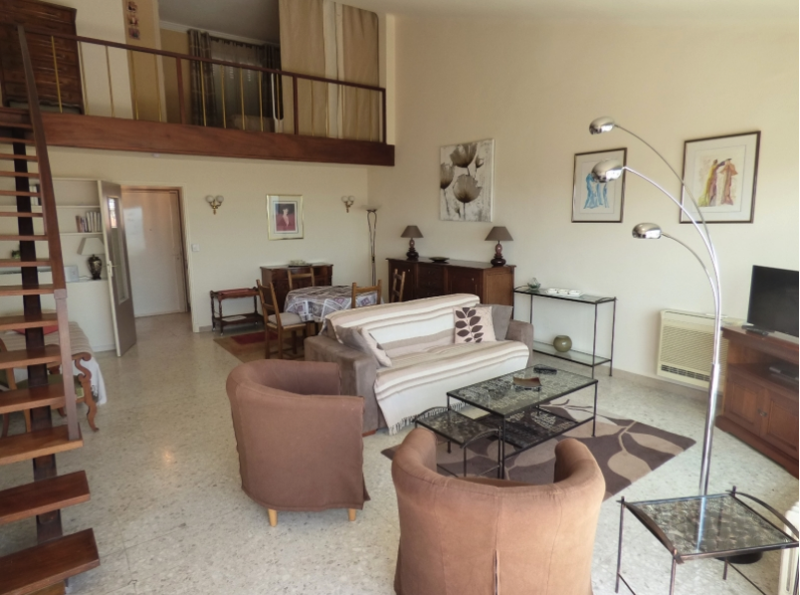 Situated in a traditional building, the apartment is on the 6th floor (with lift). 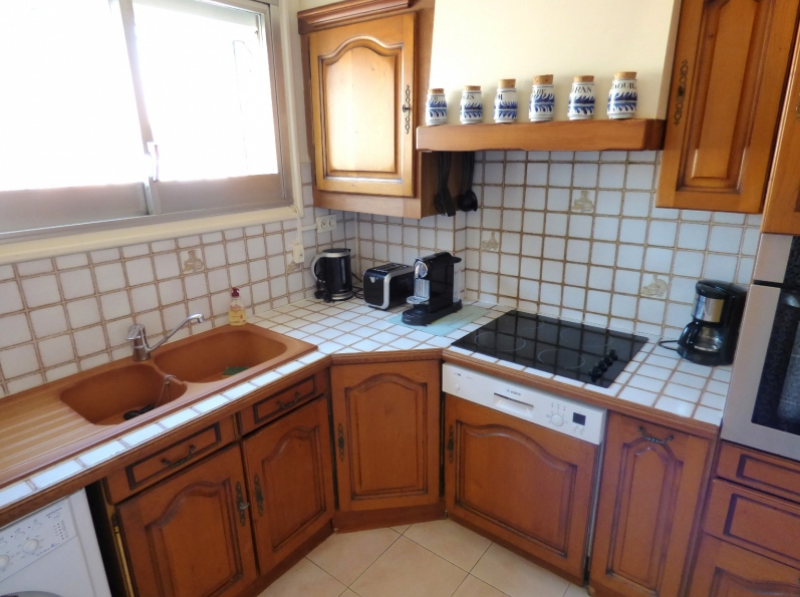 The kitchen is very well equipped, with a dishwasher and a microwave. 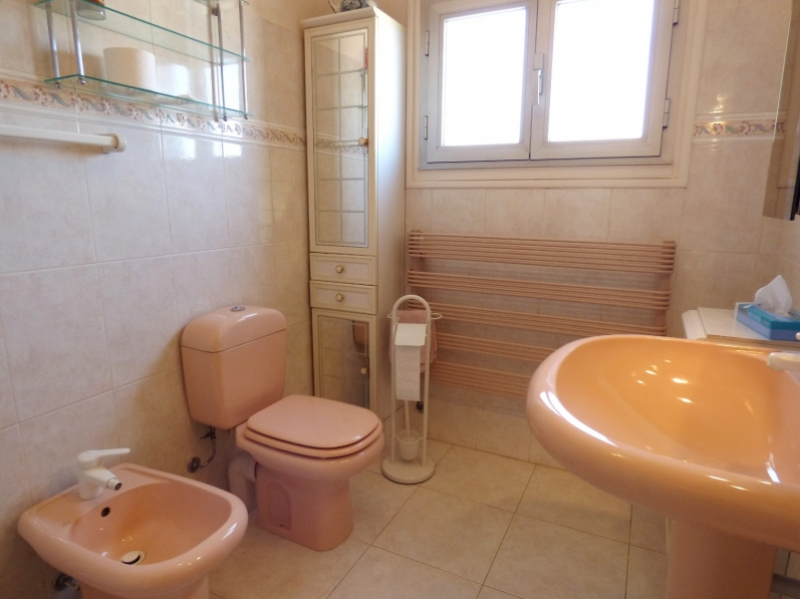 There are two bathrooms, one with a separate toilet, and the other with a bath and toilet. 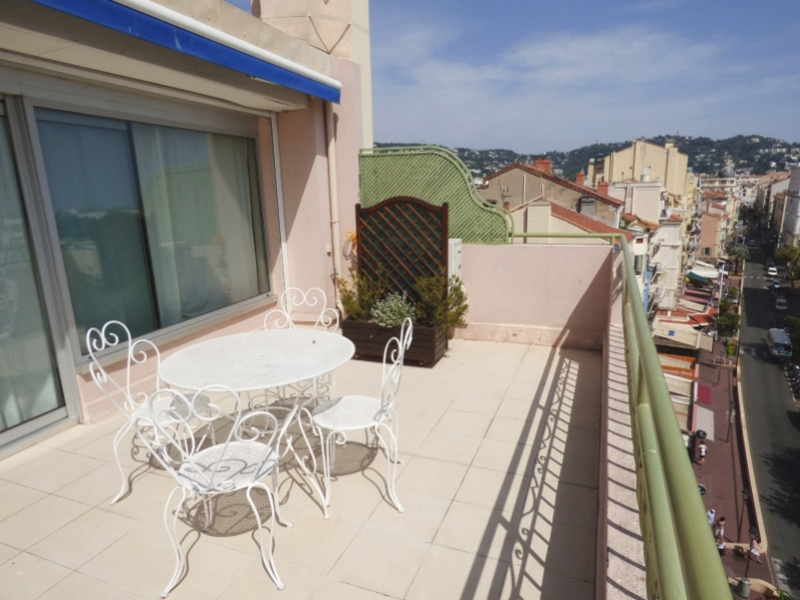 The apartment is very light, and there is a beautiful terrace space. 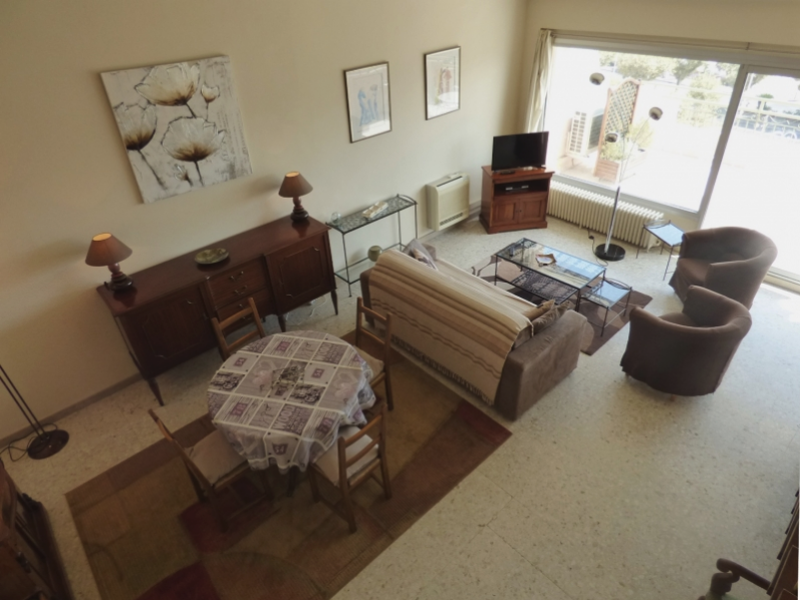 Amenities include air-conditioning, internet, and a TV.